Christmas is a time for bringing people together from all walks of life. It is about spreading cheer wherever you can. But life doesn’t always go our way, and many of us suffer hardships. We hope when we are hardest hit in those times that something or someone might turn things around. So here you go! A list of 10 miracles that really did happen. We have all been in a place in our lives when things were not going well. At the very least, we have seen friends or loved ones in that tough spot. It is truly awful when someone hits a rough patch and cannot provide for a family, especially children. Well, that is where Rosa Cardenas de Reyes was during Christmas 2011. Since her husband had been unemployed for a stretch of time and they couldn’t afford a real Christmas, she decided to continue a family tradition of sending letters to Santa via balloon. 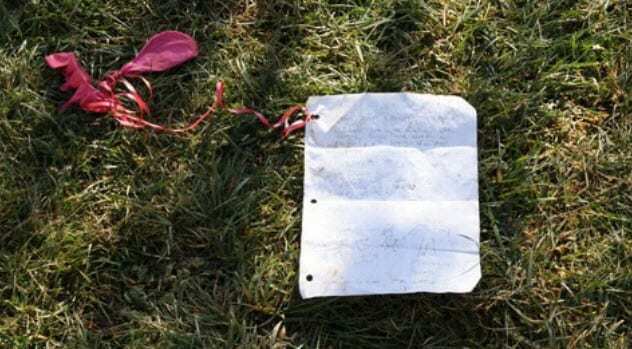 She had her daughter write the letter about what she wanted for Christmas before her daughter waved goodbye to the balloon. As it turns out, the letter knew right where to go—Northern California. The paper landed on a ranch belonging to Lane Sanderson. He was riding an ATV along with his son when they came upon the letter. After having a ranch hand translate the words, Sanderson knew just what to do. He called the Reyes family and informed Rosa that they had found the letter. Lane’s wife, Julie, went out with her own daughter to pick out clothes and a doll before sending the items via express to the Reyes family. In St. Petersburg, Florida, in 2015, a young girl fell ill. 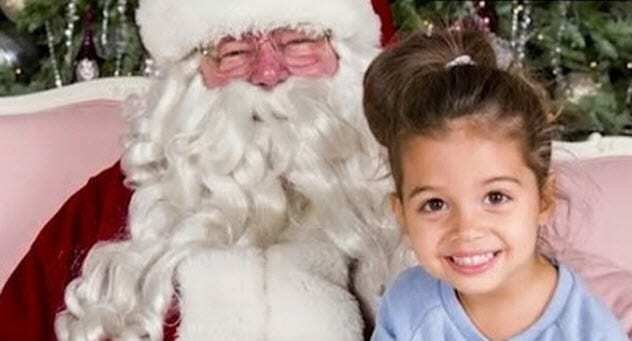 Her parents first noticed a slight fever on Sunday, December 13. After that day, she got better. Unfortunately, it was false comfort for the family. After a few days passed, little Gemma became very pale and then her toes and fingers grew cold. Recognizing the seriousness of the situation, the parents rushed their daughter to the emergency room. Unfortunately, Gemma went into cardiac arrest, forcing the doctors to perform CPR. After an arduous 45 minutes, Gemma’s heart began to beat on its own once again. She went on to experience a full recovery in nothing short of what the doctors describe as a miracle. Some miracles are the result not of chance but of modern technology going further than ever before. Since a crash that threw her from her car in 1996, Joellan Huntley has been paralyzed. Unable to walk or to talk and fed through a tube, she was only able to communicate through simple noises. Her mother, Louise, found a device which could translate eye movements into words. Though it was very expensive, they were able to afford it through the million dollar insurance settlement they had received. When the device finally arrived in December 2017, Louise asked her daughter if she liked the Christmas sweater that Louise was wearing. Through this miracle technology, Joellan responded to a question for the first time in those long two decades. On the lighter side of Christmas miracles, we find ourselves in Edmonton, Alberta, where Tessa Lee got a call about puppies. Who does not love a call about puppies? The problem is these animals were lost and alone outside the city and freezing in the winter weather. Tessa promptly drove to the location roughly 90 kilometers (56 mi) away and found five underweight pups shivering in the cold. She quickly scooped them up and drove to the nearest veterinarian. 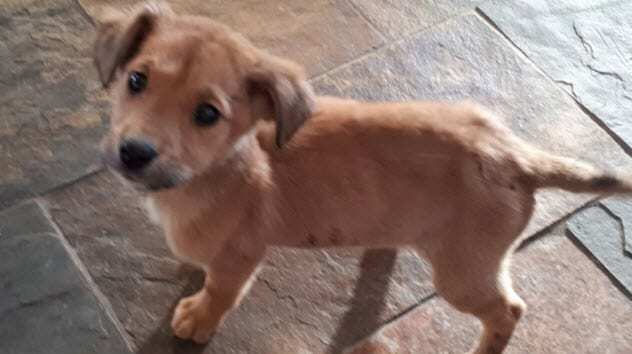 The on-call professional was able to help the puppies recover quickly once they were in a warm home and with ready access to food. The puppies had to be fed small meals with bottles as they had been starved for so long that they could not take solid food. One of the puppies, Ruby, struggled to walk to her food. 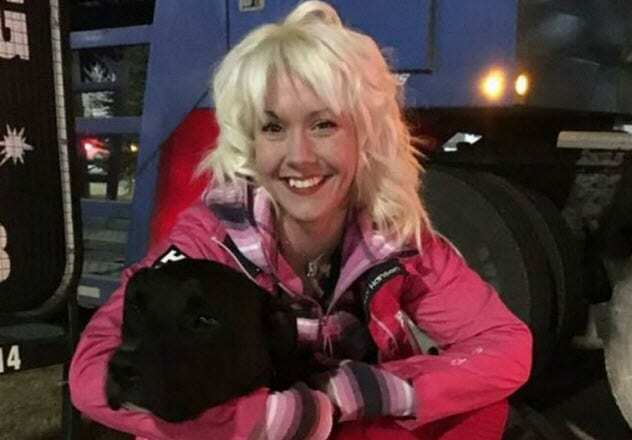 Tessa posted a video of the sad but adorable event to the Whitecourt Homeless Animal Rescue Foundation Facebook page, showing the world the very lucky recovery. One of the best parts of Christmas as a holiday is how it brings people together. We are all used to faceless corporations being greedy and cruel. But after a wildfire in 2016 that hurled the town of Fort McMurray, Alberta, into chaos, WestJet, the massive airline company, did something thoughtful. To put the devastation into perspective, nearly 2,500 homes had been leveled and 100,000 residents could not return home for the holidays. To return the Christmas spirit to the scorched town, WestJet set up a “Snowflake Soiree” for everyone in the city. The company gave out gifts and even managed to wrangle singer Johnny Reid for a live performance. The very illustrious and busy Santa Claus even arrived, delivering some very special gifts. Rhys Popejoy had lost his set of Harry Potter novels, which he loved greatly, in the fire. Rhys was given two gifts from the collection of a WestJet worker who was also a fan of Harry Potter. She donated to him her own golden snitch and Quidditch goggles. Most of us have panicked at the prospect of losing a pet, whether it is a dog, a cat, or even a turtle. Being responsible for an animal’s well-being makes it that much more worrisome. Ashley Power from Spruce Grove, Alberta, was unfortunate enough to lose her dog, Frankie. “It was horrible, I was in disbelief,” she told reporters. She remained in that horror for five whole months as she sent flyers hundreds of miles away in hopes of being reunited with her pet. When she had given up all hope of finding him, she received a call from the Langley Animal Protection Society (LAPS). As it turns out, they had found Frankie running around Abbotsford, British Columbia, which is over 1,000 kilometers (600 mi) away. Unfortunately, Power did not have the means to put Frankie on a flight. So LAPS got help from a truck driver to return the dog such a distance, and he was happy to do so. “That’s the reason I am doing this. He livened right up and was all over her,” the driver said after delivering Frankie back to Power. Playing outside in the snow and ice is part of every child’s Christmas experience. Unless, of course, they live where it does not snow, which is quite frankly unfortunate. But the deep snow and biting temperatures aren’t always fun. Two teens from Duncan, Nebraska, found out the hard way. 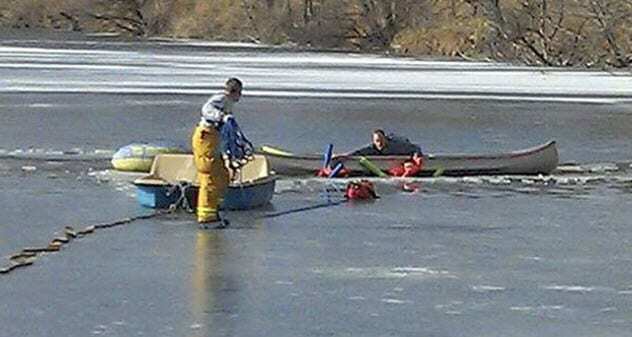 While visiting one teen’s grandmother, the boys went outside and walked across an icy lake. They both crashed through the thin ice and plunged into the freezing waters. “All you could feel was the outline of your body,” one boy said. The boys were lucky. In the area was Rick Blessen, an avid canoer. Blessen heard the boys hollering and went out in his canoe, giving life jackets to the teens. He held on to the boys as an emergency team pulled all three of them ashore using a rope tied to the canoe. One of the boys reported that he hadn’t expected the teens to last 10 minutes if Blessen had not arrived. The teen was not wrong. In freezing waters, the expected time of survival is less than 15 minutes. A dangerous scenario to be sure. Which is why the residents of Duncan village think of Blessen’s rescue as a Christmas miracle. Christmas is a time to celebrate with family and friends, right? It is the worst time for tragedy to strike, and it is the time of year that everybody should be safe and warm. Unfortunately, tragedy is exactly what the Brooks-Szabo family had to endure for months. 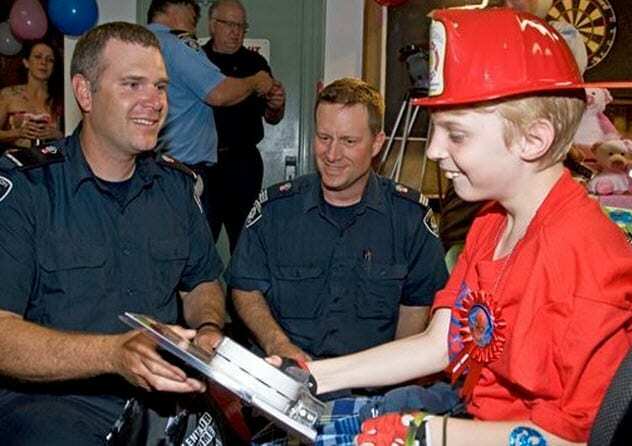 On an October day in 2013, 10-year-old Tyler Brooks-Szabo was enjoying a ride on his bike. A man who was either impatient or under the influence drove onto the sidewalk, hitting and throwing the boy to the ground. The boy suffered a cracked pelvis and head trauma, ultimately falling into a coma. For two long months, his family and the community hoped for a full recovery. Then two days before Christmas, just as they were about to celebrate the winter holiday without their son, he woke up. Although Tyler was dependent on caregivers at the time, his family was elated to see him conscious. Not all miracles have to start out awful. Sometimes, miracles can be small—as in nice things that people do for each other. There is no better example for these acts of kindness than some exemplary employees of an energy company in Medicine Hat, Alberta. With no prompt other than the holiday spirit, these workers showed up to the local elementary school with a truck of Christmas gifts for kids in every grade. But the cherry on top was that Santa Claus himself showed up to help hand out the gifts. One of the students even got exactly what he was hoping for—a sweet Hot Wheels car. One of the best parts of this story is how the workers funded this endeavor. Instead of hosting their yearly Christmas party, they spent over $10,000 on the pile of presents. World War I was a violent, bloody conflict. According to some estimates, it claimed the lives of more than 20 million people and wounded a further 20 million over its four-year span. But what does this have to do with Christmas miracles? “The Great War,” as it was called at the time, had something very special happen during its first year. 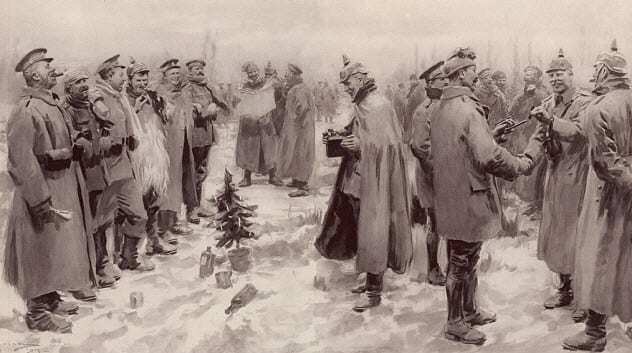 While soldiers had been killing each other for many months, it stopped on Christmas Day 1914. Not because any leaders or politicians had secured a cease-fire but because the soldiers on the ground needed some cheer. That morning, Allied enlisted heard the words, “Merry Christmas.” It wasn’t from their fellow soldiers but from across no-man’s-land, the space between trenches. German soldiers had crossed the field to meet with their enemies. Of course, the Allied soldiers feared it was a trap. But seeing the other side unarmed, the Allied soldiers greeted their enemies. Soldiers sang carols, traded gifts of cigarettes and pudding, and even played a game of soccer. To see such spirit amid the suffering inspires us all to be kinder in life—at least, that’s what we can hope. Hey there, it’s me. Who am I? Just a guy writing articles for you. Have a nice day. Read more amazing Christmas stories on 10 Remarkable Origins of Common Christmas Traditions and 10 Most Surprising Christmas Traditions And Tales.